For The Kenny Family Foundation, the gift of giving is something we practice all year-round, helping our Active Partners make a difference and create a better quality of life for the community, here in New Castle County. Throughout the year, we continuously support nonprofits across Delaware, but as the season of giving commences, this is the peak of our year. With the holidays upon us, an increasing amount of individuals in the community begin to focus on giving back and join us in helping the less fortunate. Each and every year, our hearts warm to see the community perfectly align with our mission: Investing in well-being. Improving quality of life. Creating a sustainable future. Today, we celebrate our foundation’s biggest day of giving. Our foundation dedicated the month of November to ensure no family in Delaware went without a Thanksgiving meal. In addition to helping our Active Partners achieve this goal, we coordinated our own event to thank the valiant individuals in Delaware, who bravely protect our community 24/7, 365 days a year. Our foundation spent the eve of Thanksgiving with our KFFDElegates, packing and delivering Thanksgiving meals to every Police and Fire Station in New Castle County, working over the holiday. Each station received a fully cooked and prepared Thanksgiving meal – including a large roasted turkey, mashed potatoes, sweet potatoes, stuffing, gravy, cranberry sauce, green bean casserole, dinner rolls, pumpkin pie, and fresh apple cider. Since 2012, The Kenny Family Foundation has spent Thanksgiving with our KFFDElegates and the young volunteers from Bellevue Community Center to give thanks to those who protect and serve our nation each day. 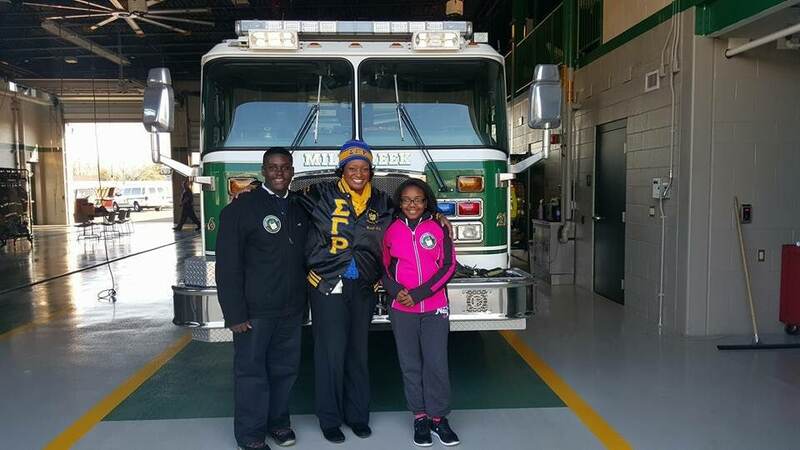 This year, we grew our tradition a little more and asked our volunteers to share pictures with us, capturing their experiences delivering meals to the police officers and firefighters in New Castle County, as well as thanking them for all the brave and selfless work they do, keeping the community safe, especially during the holidays. We had such a terrific group of volunteers this year, who compassionately spent their day helping our foundation execute this massive undertaking. We cannot thank each and every one of you enough, as well as our benevolent Executive Director, Heather Hook, for coordinating the event and ensuring every Police and Fire Station in New Castle County had a enjoyable, nourishing, and delicious Thanksgiving. Type of volunteer work you are able to contribute. *Reading to children/seniors, Computer/Admin work, Event assistance, Athletic Coordination, etc. If you are interested in becoming an official volunteer for The Kenny Family Foundation and joining our DElegates Volunteer Program: click here.